Discussion Question #1: Are the Georgetown Hoyas the most disappointing ballclub in the nation this season? 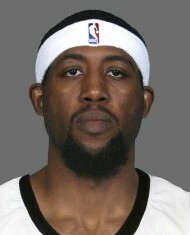 President and Bulls fan Barack Obama was at the Verizon Center this evening, as was Moses-beard-wearing Bull John Salmons. Both were disappointed. The Wizards managed to beat the Bulls by 23 points. (Not a typo.) 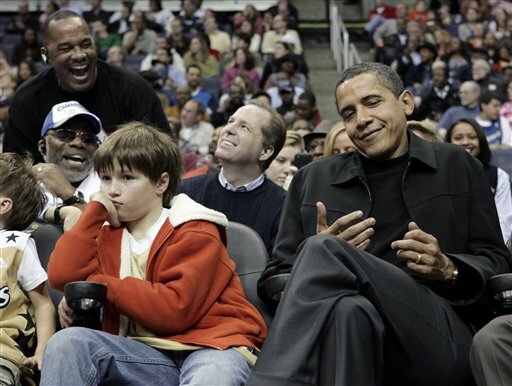 Let’s hope the President comes to more Wizards games! 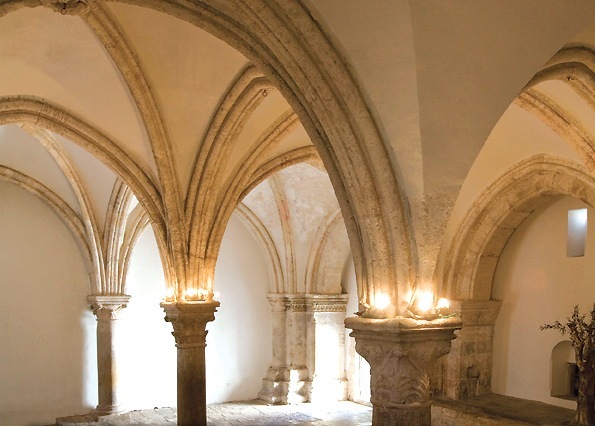 This is the Upper Room, where our Lord instituted the Most Holy Eucharist, and where the Holy Spirit descended upon our Lady and the Apostles. Forgive me, please, for indulging in so many anniversaries. Preacher met Big Daddy on March 9, 2000. Not today’s date, but the same liturgical day: I had the privilege of meeting Pope John Paul II on the Thursday after Ash Wednesday. 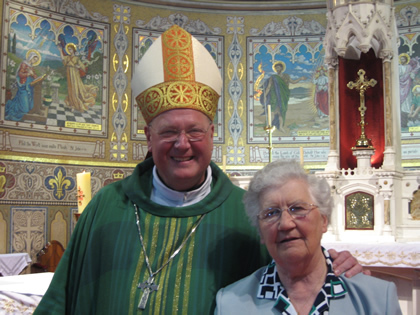 Back then, your silly Preacher was a seminarian on a pilgrimage to Rome for the Jubilee Year. I traveled with a group of aspiring priests from the seminary at Catholic University. We were invited to join the Holy Father for his morning Mass in the chapel in the papal apartment in the Vatican. After Mass, he greeted us in his study, and a photographer from the Osservatore Romano took our picture as we each genuflected to kiss the Ring of the Fisherman. So far this week, dear readers, we have considered St. Polycarp’s resignation to marytrdom AND the poet T.S. Eliot. As you remember, St. Polycarp neither sought martyrdom nor fled from it. ...you are dust, and to dust you shall return. T.S. Eliot wrote a complex, difficult, breathtaking poem for Ash Wednesday. 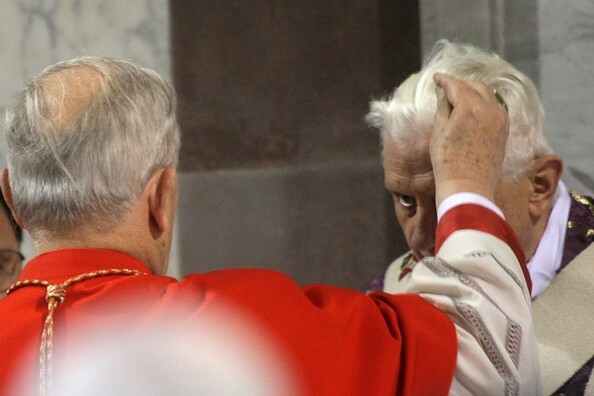 The Holy Father keeps Ash Wednesday in the Dominican church of Santa Sabina, on the Aventine Hill in Rome. He approaches the church in a solemn procession down Via Santa Sabina from the church of San Anselmo, which is about a quarter mile away. With all due respect, I do not think that this is apt. As we Shakespearians know, Sir John’s most lovable quality is that he is not, in fact, a good person. He is a lying, lecherous, selfish, cynical, dissolute coward. 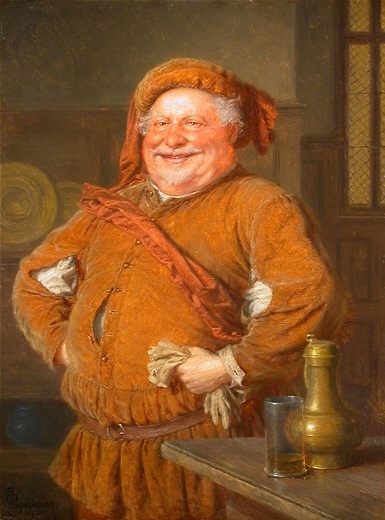 Just because Falstaff is also jovial, garrulous, and imperious does not mean that he makes a suitable literary figure for His Excellency Archbishop Timothy Dolan, who is an industrious and orthodox prelate. 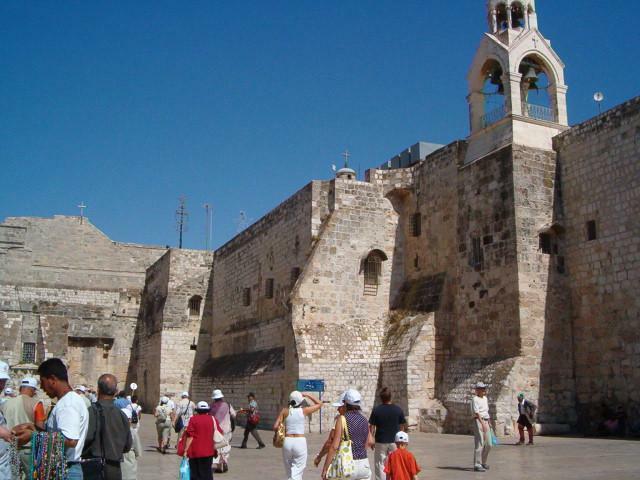 A year ago today, your humble servant was in Bethlehem, venerating the birthplace of Christ. 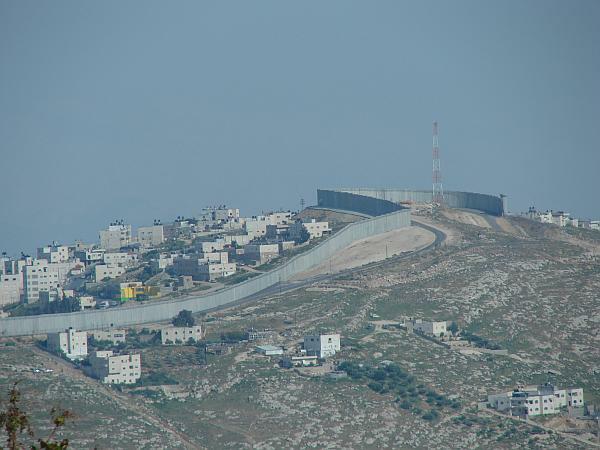 The Israeli government has erected a wall around the Israeli settlements near Bethlehem. Don’t forget to eat all the candy in the house today. A year ago today, we pilgrims celebrated Holy Mass in a chapel at the place where the Lord Jesus wept over Jerusalem (Luke 19:41-42). One year ago today, we priest-pilgrims with were with Archbishop Burke at the top of Mt. Tabor. 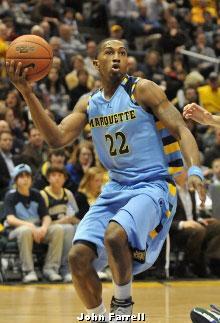 Two top-eleven college basketball teams came to town today. And the NBA-elite San Antonio Spurs, too. But even fewer people thought that the Terps would beat #3 UNC, and they did! And nobody thought the Wizards could get three wins in a row, which they have yet to do this season. As you may remember, this year is the two-thousandth anniversary of the birth of St. Paul the Apostle. Since the end of the Christmas season, we have been reading at Sunday Mass from St. Paul’s letters to the Corinthians. As we remember, Corinth was the capital of the Roman province in southern Greece, and it was a capital of pagan decadence. 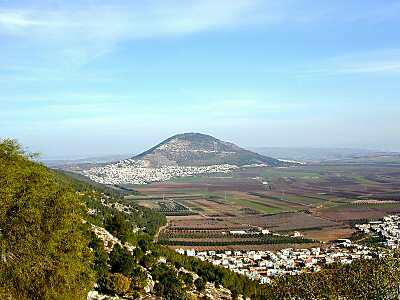 When he first preached in Corinth, St. Paul had great success. He won many enthusiastic converts, who became his beloved spiritual children. When he continued his travels, however, St. Paul received reports about the Corinthian church that troubled him. The Corinthians had begun to doubt his authority. 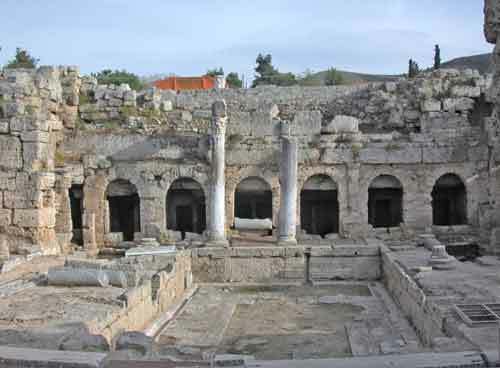 As you recall, St. Paul wrote First Corinthians while he was in Ephesus, across the Aegean Sea from Corinth. Then he had to leave Ephesus suddenly. The Ephesian silversmiths made a tidy profit producing pagan idols. They were not pleased with St. Paul’s success in converting their customers to Christianity. They started a riot. Cooler heads prevailed, but if they hadn’t, St. Paul and his companions likely would have been martyred then and there. After this close call, St. Paul’s friends persuaded him to leave town. Tough Loss for Livni, the Caps, Etc. 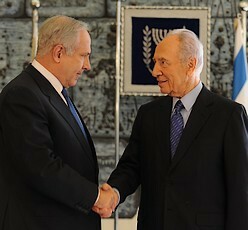 President of Israel Shimon Perez nominated Benyamin Netanyahu to be the new Prime Minister. Tzipi Livni has refused to co-operate in a unity government. Netanyahu was Prime Minister before, in the late nineties. May God grant peace and stability to Israel. Let us pray that our Holy Father will have a spiritually profitable visit in May–and our little band of pilgrims in November, too!